For more than 30 years, Ryan has been involved in track & field and distance running as an athlete, coach, researcher, record keeper, resource and media consultant. In 1997, he started EventPRO, a media & marketing company offering the industry’s most extensive institutional knowledge base. 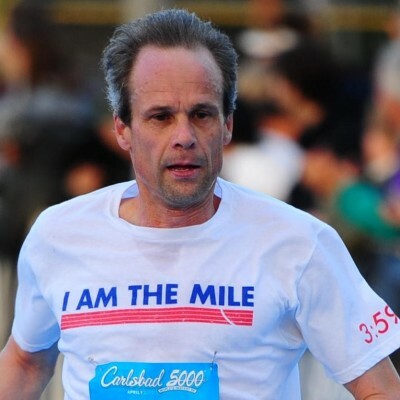 Over the past 25-plus years, he has worked and consulted with USA Track & Field, Runner’s World, Running USA, New York Road Runners, Competitor Group, RRCA, Pittsburgh Marathon (P3R), Twin Cities In Motion, PRRO Circuit, LA Marathon LLC, Houston Marathon Committee, U.S. Olympic Marathon Trials hosts (1996-2016), Race SLO, Track & Field Athletes Association (TFAA), HOKA ONE ONE, Aggies Running Club, Represent Running, JDL FastTrack, Santa Barbara Vintners Foundation, Santa Barbara Athletic Association (SBAA), Kinane Events, State Street Mile, Ed Murphey Memphis Mile and OC Marathon to generate media articles & coverage and to provide a one-of-a-kind resource center, off- and on-site media operational support, quality control and guidance as well as Big Picture, branding & marketing strategy, customer service support and crisis management. He is also one of the founders of Running USA, a national organization for the road running industry, and Team Running USA, a successful distance running training group led by 2004 Olympic Marathon silver and bronze medalists Meb Keflezighi and Deena Kastor that helped produce the U.S. distance running resurgence since 2001. In March 1999, Ryan created the Running USA wire, a news and information service for the organization and its members and the sport. The wire reached more than 1,000 media sources twice a week and was used and cited regularly by the print media, websites and other major outlets. 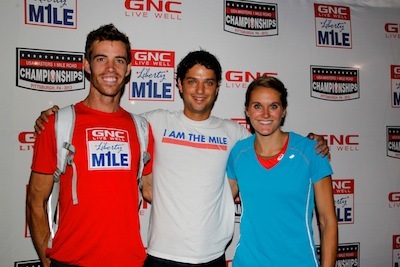 In January 2012, EventPRO launched Bring Back the Mile, a highly-engaged national campaign to elevate & celebrate the return of the storied distance to prominence on the sports & cultural landscape. The Minnesota native, who was a 4-time state sprint champion (1976-77) setting the all-time 440yd state record (48.1), is an avid, accomplished runner. Ryan has been inducted into two Halls of Fame: Running USA (2010, its youngest member) and Benson High School (2016, inaugural class), earned a B.A. in History from Harvard in 1981 and has called Santa Barbara "home" since 1985. Over the last ten years, David has set out on a career path centered on community building and well-being. He started out as the Media Director for UC-Santa Barbara Track & Field where he also founded the Santa Barbara Camps & Clinics to connect aspiring high school athletes with collegiate and professional track & field mentors. In 2006, he moved to New York City to work for an international non-profit, the Japan Center for International Exchange (JCIE / USA), assisting the implementation of policy research studies and corporate philanthropic programs. Most recently, he created the online content related to the 2011 Tōhoku earthquake and tsunami relief efforts, with JCIE / USA raising more than $3.6 million in donations. He returned to Santa Barbara in 2009 to join the Plus 3 Network team, an online social network that combines the unique strengths and benefits of physical activity with the social power of philanthropy further combining his two passions in community building and empowering personal well-being. A Silicon Valley native, David graduated from UC-Santa Barbara with a B.A. in Global Studies and Organizational Communication in 2004 and considers Santa Barbara his home. Also meet our BBTM Team and Partners.